The department of Anatomy, HIMS was established in the 2008. It deals with teaching normal human body structure in such a way that the knowledge of Anatomy may be applied to understand the clinical problems which may help in diagnosing the diseases and the treatment. For surgical disciplines the knowledge of Anatomy is very helpful. It is a common saying that “a good surgeon is first a good Anatomists then a good surgeon”. Besides dealing with body structure it also deals with providing knowledge about Genes, Embryology, Histology, Anthropology and Imaging Sciences. The knowledge of these subspecialties is very helpful in understanding the congenital disorders, legal cases and pathology of different disorders. 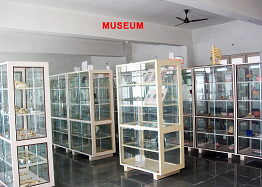 To explain these subspecialities the Anatomy department, HIMS has established a well established Museum which has large number of mounted specimens, Models, Charts/flexi and photo frames and bones. Modellor of Anatomy, HIMS has prepared artificial bones which are natural looking. 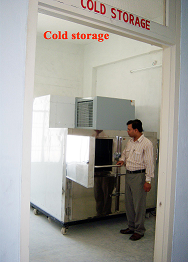 It is a unique feature of Anatomy department, not seen in any other department of Anatomy. Radiological gallery having sufficient X-rays, Ultrasound, CT& MRI plates displayed in dissection Hall, Museum & Tutorial rooms. P.G. Research lab and Neuroanatomy lab is helpful in research work of Post Graduates and faculty members. Teaching faculty is full time, well qualified and quite knowledgeable. Dr. Naresh Chandra, Prof. & Head, Dr. Indra Kumar, Associate Professor and two Asstt. Prof. Dr. Ranjeet Kumar & Dr, Shweta Singh are very sincere teachers. 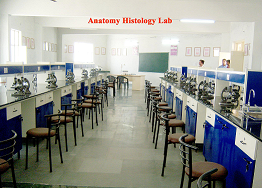 Besides teaching the department of Anatomy, HIMS has formed an Anatomical Society HIMS which is registered and having a website www.ashims.com Going through website, one can know about various extracuricular activities like, holding Seminars and seminar competitions, charts, model, debate, quiz and dissection competitions. Every year annual function of Anatomical Society is organized. Awards are being given to students and employees to encourage them so that they feel elated and work with more efficiency. Each and every student and faculty members are the members of the Society. Anatomical Society has its own library and bone stalk which are being handled by the students only. There are large number of books and bones. 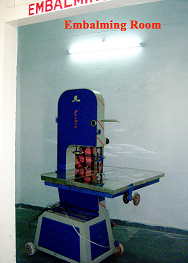 This is a unique establishment which is found only in few medical colleges of India in U.P. Only King Georges Medical University Lucknow has the Society. Society of HIMS is registered under U.P. registration act. Department of Anatomy has a well equipped histology lab having microslides, Dissection hall having sufficient number of human cadavers. 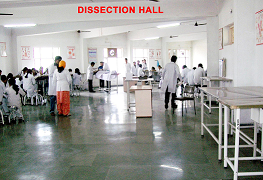 Dissection is regularly conducted in the dept. 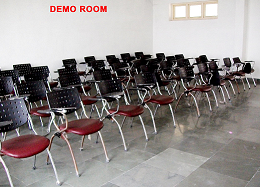 Teaching of Anatomy is done by chalk & board, power point, various other media like overhead projector, flip chart & models etc. Thus making it interesting and easily understandable subject, which is considered as the subject dealing with facts and difficult to understand. 1. Morphological study on human ear ossicles. 2. Endometrial assessment and its relation to implantation sites. 3. Role of ultrasonography in estimation of fetal gestational age using various fetal biometric parameters. 4. Exophthalmometery in normal subjects.